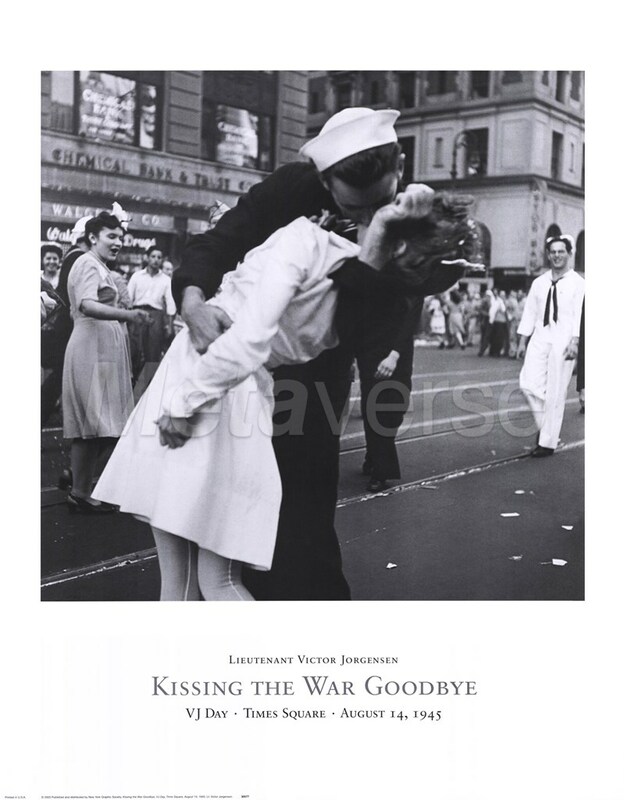 Every picture tells a story, and Alfred Eisenstaedt’s famous shot of an exuberant American sailor passionately kissing a nurse in New York's Times Square speaks volumes. 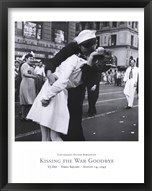 Taken on V-J day, Eisentaedt's got this classic shot by following a sailor who had been running through the streets kissing every woman he encountered in celebration of the end of the war. One of Life Magazine’s four original photographers, Eisenstaedt (1898 – 1995) worked for the magazine for half a century producing more than 2,500 pictorials and 90 magazine covers that captured politicians, movie stars, artists, writers and intellectuals in profoundly defining and expressively candid moments.